It was a hard fought battle. 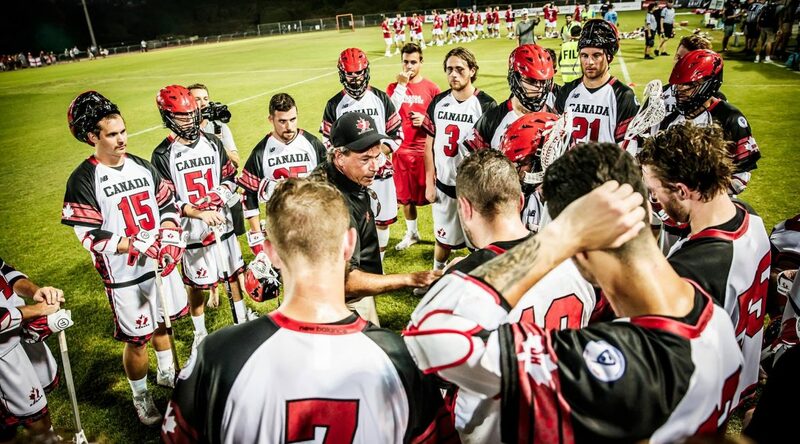 Despite a strong fourth-quarter effort from Team Canada, they fell 11-10 to Team USA at the FIL World Championships in Netanya, Israel, Sunday – putting them at 2-1 for the tournament thus far. After trailing the US for more than three quarters, Jeffrey Teat tied it up with 7:36 left in the tilt. A second goal off the stick of Ben McIntosh would give Canada their first lead of the game at 10-9 with 5:03 remaining. However, a goal from the USA’s Matthew Danowski would tie it up shortly after. Paul Rabil would follow with another to seal the deal. It was another solid outing for the Riggers on Team Canada: Curtis Dickson notched two goals, and two loose-balls, while Wesley Berg and Zach Currier scored a goal each. At the face-off dot, Geoff Snider went 8-for-16, and also scooped four loose-balls. Top scorers for Canada in the match were Teat (3+0), McIntosh (2+1), and Dickson (2+0). On the other side, Rob Pannel (2+1), Rabil (1+3), and Ryan Brown (3+0) were the top points contributors for the USA.